We're well into November. The Halloween decorations at the supermarket are ancient history. Canned Christmas music pipes over the loudspeakers at every shopping center in town. Holly and mistletoe and white lights drape the shelves of merchandise, winking at you as you pass by, hinting not-so-subtly at their own little secret: Just because Thanksgiving is weeks away doesn't mean you can't start celebrating the magic of the Christmas season now. Therefore. It is with great delight that I present two wonderful new Christmas books for your consideration---and for two of our readers to take home themselves, free of charge. Like a present from Everead to you! Two lucky commenters will be randomly selected to receive both of these hardcover books, each, compliments of Scholastic. So. On to the books. The Christmas MagicFrom best-selling author Lauren Thomas and Caldecott Honor artist Jon J. Muth comes this completely enchanting new night-before-Christmas story. Far, far north, Santa prepares for his big night of giving. He feeds his reindeer, polishes his sleigh, and chooses toys for all of the children of the world. And all the while, he listens and waits for that thrum of magic that will make the reindeer fly and help him spread the joy and warmth of Christmas all over the world. I especially loved how this book makes Santa look like an average Joe---just a quiet man with a great big heart. He lives in a tidy little house. He keeps his sleigh in the shed. He darns his own stockings. No elves picture in the book. No giant workshop with conveyor belts and thousands of busy workers appears. Just a simple old man getting ready for a night out. 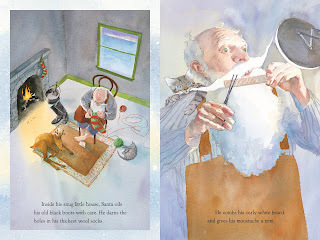 The understated yet beautiful watercolor illustrations seem to say that we can all be Santa in our own way. It doesn't take great wealth, prestige, or power to be a force for good in another person's life. Just a gaze that turns outward and a little thrum of Christmas magic. Check out one of the charming illustrations below. 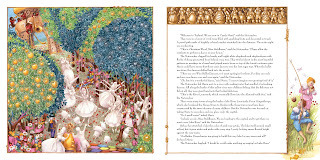 The Nutcracker and the Mouse KingWith beautiful new illustrations by Gail de Marcken, this second holiday book tells E.T.A. Hoffmann's original story that inspired the famous Tchaikovsky ballet. Unlike the ballet version of the story, Marie's adventures with her beloved Nutcracker happen over several nights. The Nutcracker is an enchanted young man who can only awaken when shown the selfless love that Marie demonstrates for him in several battles with the fierce, seven-headed Mouse King. The illustrations are truly magical, colorful and sweeping and totally enchanting, and I loved hearing the original story that inspired one of my favorite ballets. Two thumbs way up for both of these Christmas books. So, if you'd like to win both of these books, you know what to do! Just leave a comment below before November 26th, 2009---Thanksgiving!---to be entered in our random drawing. And merry early Christmas from Everead! Okay I know I can't enter the contest. But I HAVE to say I LOVE Jon J Muth and his illustrations! Love them! His book Zen Shorts is one of my favorite picture books of all time. These books sound awesome, Ashley. I love Zen Shorts too! I use it in teaching lessons to my class all the time! I hope I can qualify.... that would be a fun book to win! Do my chances increase if I keep writing comments? Ooh. Pick me! Pick me! The books look gorgeous. Love the Nutcracker and all things Christmas!! They look lovely. Send 'em my way! My boys would love them-- oh and I will too! We have a tradition of getting a new Christmas book each year and opening it on Christmas Eve. This look like really good books, I'm grateful to have a couple more to add to my list to get for future years, unless we happen to win them! We love Christmas book at our house. They both look lovely and great additions to our Christmas Book Collections. What a fun book blog! Those books are beautiful! What a fun give away! My daughter would love the pictures (she's 15 months). I really love reading this book blog. I'm glad Ashley pointed me to it. Keep up the good work! These books look beautiful! I love reading my boy books relating to the season, and Christmas is my favorite! We'll for sure have to check these out at the library... but it would be even cooler if we won! This would make a great Christmas gift for my best friend's daughter, Maya! These are really beatiful books. Thanks for posting pictures of a few pages. It's fun to see peak at what's inside. I love Christmas!! My daughter is now 2 and we are beginning to read her stories with plot instead of stories that just rhyme. This would be great for her! 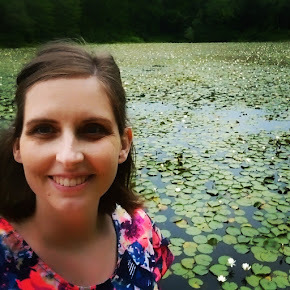 I would love to be put in the drawing. I love collecting (and reading) books. I would love to win and share these with my kids. there are few things more precious than children's christmas reads. count me in! I'd LOVE these books for my daughter! These Christmas books are beautiful. I would love them for my boys. These look like a great addition to any home library! Oh how fun! I would love to win! :) The kids love it when I read to them. 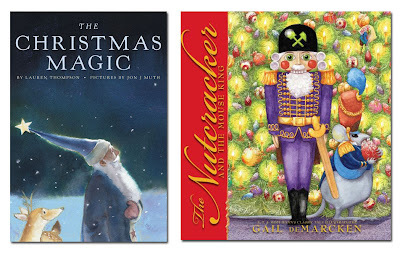 I would love to share these books with my kids -- we love Christmas books! Please enter me. My kids would love these. Thank you! Please enter my name in your wonderful draw. Thanks.